As more and more businesses come online everyday, being able to be found by potential customers is important to your businesses survival. We have been working with companies large and small for over 5 years to help them rank well in the major search engines. Thousands of local searches are done everyday for businesses just like yours. During those searches are potential visitors able to find your site? The difference in even a couple of spots in the search engine rankings. Recent studies have proven that the first position gets 33% of clicks from searchers while the 3rd position only receives 11%. SEO is not an overnight process, do not waste any more time before starting your SEO campaign. Contact N-Touch Marketing™ today to begin your rise in the rankings. 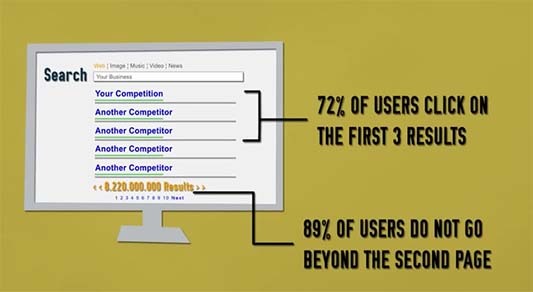 Obtaining high rankings is just part of our SEO service. We monitor multiple factors on a monthly basis to ensure that not only are potential customers able to find your site, but that they are getting the information that they need. 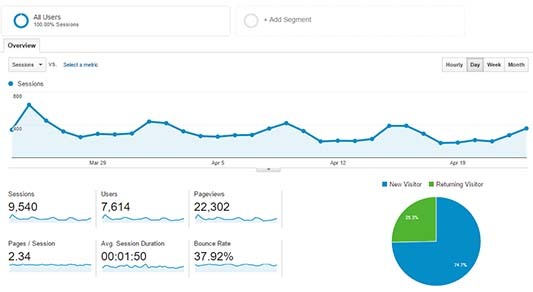 You will receive a detailed monthly report that tracks the amount of visitors that you are getting, where they are coming from, and how they are using your site. These reports will better allow us to tailor your information for potential clients that are looking for your business or services.